CLACKAMAS, Ore. – March 20, 2018 – Portland Cider Company has announced a new distribution partnership with NW Beverages of Washington. Effective immediately, craft cider fans will discover a greater selection of Portland Cider products at their favorite retailers in NW Beverages distribution territory, which covers Washington state west of the Cascades, including the peninsula and islands. In conjunction with Portland Cider Co.'s existing distribution relationship with Dickerson Distributors, which covers the Northern Washington distribution territory, Portland Cider products will now be available to purchase in the majority of the state. "Washington is the state of apples, so of course craft cider is a popular choice, and we've enjoyed being in the market for the last two years," explained Jeff Parrish, owner of Portland Cider Co. "We're looking forward to expanding our distribution footprint and are excited to be working with NW Beverages to grow in Washington in 2018." 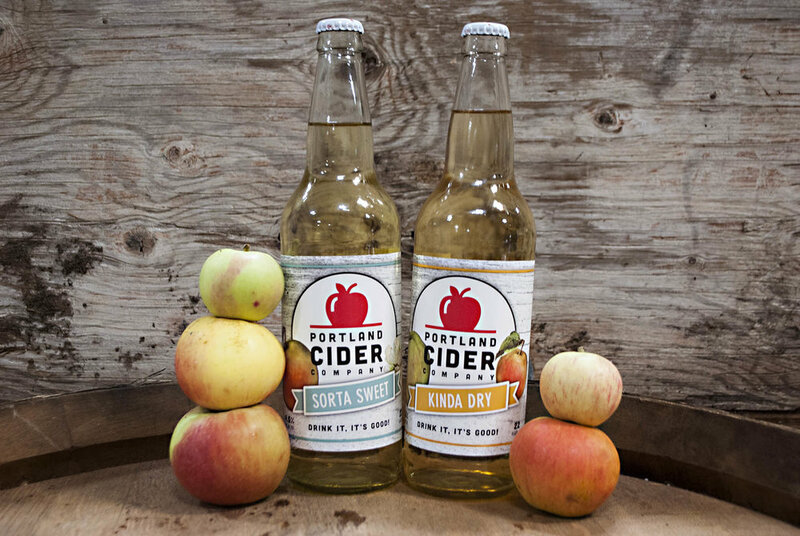 A wide range of Portland Cider Co.'s award-winning ciders will be available year-round, along with seasonal and limited release favorites like Concord Grape, Pineapple, Pumpkin Spice, Cranberry, and more. Portland Cider Co. fans in the Seattle Metro area will be excited to see the new six-pack cans of the cider maker's popular Sangria, Hop' Rageous and Apple brands. "We are very excited about our new partnership with the Portland Cider Co.," said Kevin McCourt, cider brand manager at NW Beverages. "The craft cider industry continues to grow in the Pacific Northwest, and Portland Cider's traditional English style ciders, using Northwest ingredients, is a great fit for the NW Beverages portfolio and our expanding network." Portland Cider Co. will be bringing its year-round and seasonal ciders to launch events in April and May, to be announced within the next few weeks. Follow @PortlandCider on Facebook to stay up to date. Portland Cider Company was started in October 2012 by an Oregonian and a family of British expats with the mission of bringing cider, handcrafted in the English tradition, to the Northwest. It has two taproom locations: Portland Cider House at 3638 SE Hawthorne Blvd., Portland, OR 97214; and Taproom & Cidery at 8925 SE Jannsen Rd, Bldg. F, Clackamas, OR 97015. Visit www.PortlandCider.com and follow @PortlandCider on social media. NW Beverages, LLC is a joint venture between Stein Distributing and The Odom Corporation, founded in April 2017. The company represents a world class portfolio of craft and import beer, cider, fine wine, artisan spirits and non-alcoholic beverages. Learn more at NW-Beverages.com.